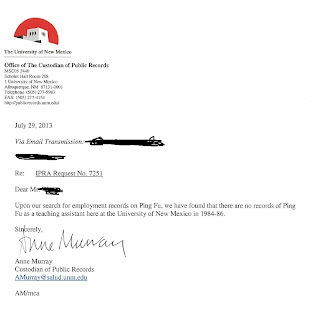 When Fu Ping submitted her resume to University of Illinois in 1991, she included being "Teaching Assistant, University of New Mexico (1985 - 1986)" as part of her "Work Experience." 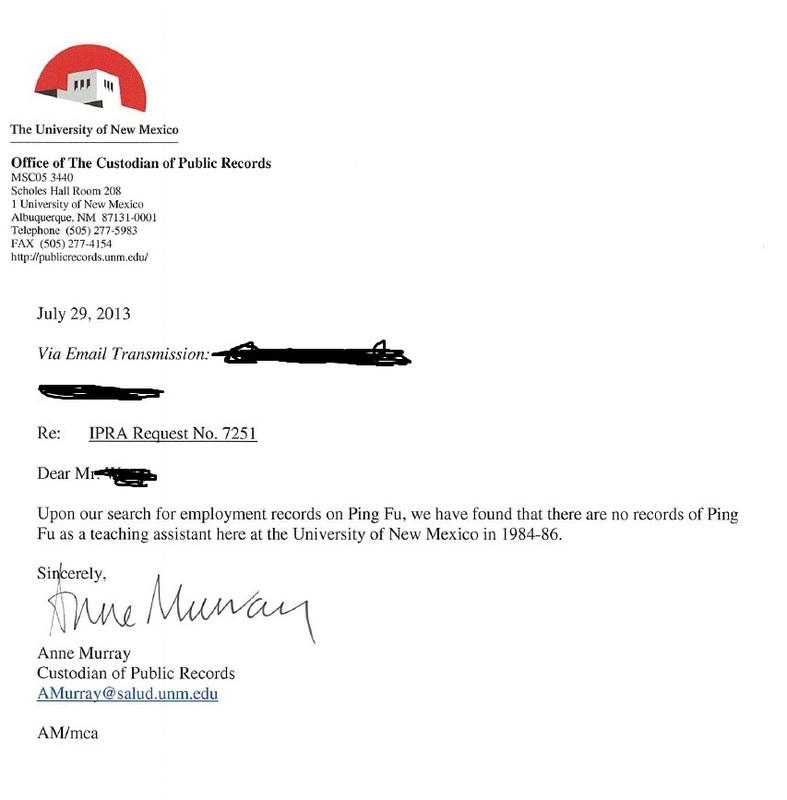 Ping Fu also claimed she was a TA at UNM in her resume submitted to NSF for her grant application. TA with 3 word of English? ?